Chance for your brand to become part of India's first ever running festival, and be synonymous with the running movement in India. Chance for your brand to become synonymous with the running movement in India. You will hold the pole position for the 1st ever Running Festival in India that will be held across 5 cities of New Delhi, Hyderabad, Mumbai, Chennai & Bangalore. 1 interview that goes on organizer's other popular blogs & event audience. Title sponsors name / logo on e-brochure for the event to be circulated across all cities among the active community and event audience. 5 social media posts promotions on Facebook, Instagram & Twitter. Title sponsor mention in event trailer, to be released by May 2017 and promoted on social media. On day 1, opening speech slot (5 min) by a senior executive of your organization. 10 tickets for company officials to the 2-day event, in each city. Title sponsor logo placement on event magazine. 2-page special coverage inside event magazine at premium position. 2 full page color advertisement behind 1st page & back page of event magazine. Title sponsor logo placement on event kit bag. 2 promotional documents about any of sponsor's product for the registration kit. Pre-scheduled one-on-one meetings with delegates / speakers and race organizers to understand the space better and to explore collaboration in running & related activities in private area with refreshments. Sponsors logo on one side of event ticket / pass. Title sponsor logo and mention in event's recorded Audio-visual campaign or promotional purposes on social media. A special interview with sponsor's executive will be shot, edited, and handed over for your promotional purposes. This will be promoted among our audiences as well across India. Mention of Title Sponsor in all post-event press releases to all media partners / channels. 25 campaign grade images from the 2-day event with usage rights for social medial promotions. Exclusive rights to be main partners for one of world's toughest endurance events - La Ultra - The High, for the 8th edition (2017). Logo across all 2017 La Ultra merchandise, collaterals, backdrops, vehicles. Main partner logo in the 2017 race audio-visual shot in 4K & HD by a professional film-making team. Associate sponsor slot offers you an opportunity to be a prime partner for the first ever Running Festival in India, and be a key player in growing running and vouching for a fitter India. You can choose to collaborate for all 5 cities of New Delhi, Hyderabad, Mumbai, Chennai & Bangalore, or the opening festival in New Delhi, or any one city as per target / regional audience. A special interview with sponsor�s executive will be shot, edited, and handed over for your promotional purposes. This will be promoted among our audiences as well across India. 10 campaign grade images from the 2-day event with usage rights for social medial promotions. Being a partner gives you an opportunity to join hands with the first ever Running Festival in India and reach out to growing running community in India. The option can be chosen to collaborate for all 5 cities of New Delhi, Hyderabad, Mumbai, Chennai & Bangalore, or the opening festival in New Delhi, or any one city as per target / regional audience. 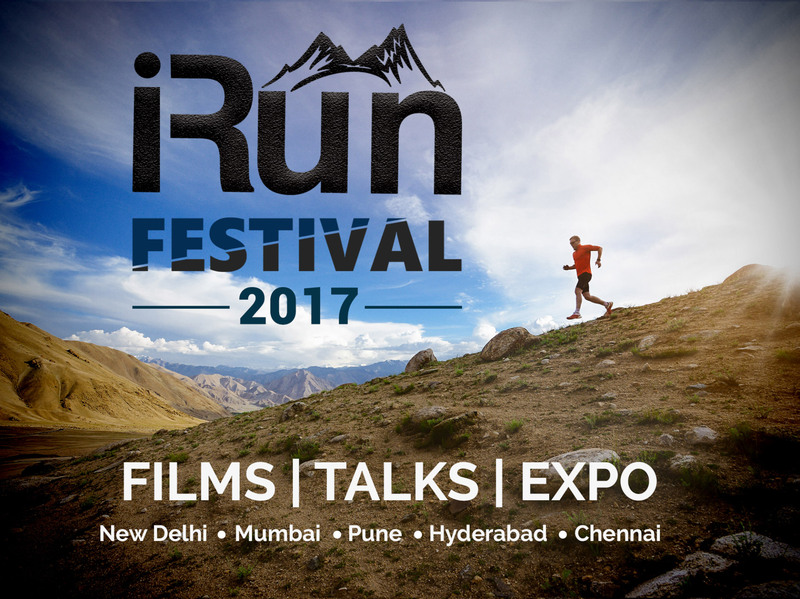 The 2 day running festival that will be held across 5 cities in the India, in the 2017 calendar, is a first ever platform to bring all stake holders in the running community together. Besides getting to you amazing running documentaries, we'll also be putting together a bunch of folks who have done great work for running, to share their learnings on their journey. La Ultra - The High is an ultra-marathon of the high Himalayas of Ladakh, India. In 7 editions so far, 77 athletes from 22 different countries have taken part in 3 different categories - 111 Km, 222 Km & 333 Km long. 8th edition of La Ultra - The High will take place in the High Himalayas of Ladakh, India on 17th August 2017. The 74 km ultra-marathon is a qualifier for the 111 km category at La Ultra - The High. In 3 editions so far, 90 runners from India have taken part in the up-hill challenge. The route & conditions in Uttarakhand give runners the perfect teaser of what lies ahead in Ladakh, the land of high passes. We are bringing you the 2nd edition of Wynberg Allen Half Marathon, in collaboration with Wynberg Allen school, Mussoorie. Running is a character building sport, and no better time to introduce you to it as a school student. OPEN category will also accept enthusiastic runners from all over India in limited spaces. 5 km & 10 km category also invites beginners & enthusiasts. Post confirmation of the Sponsorship and Exhibition an invoice will be issued in the name of the Sponsoring/Exhibiting Company for payments. Sponsorship and Exhibition space booking and associated relevant/respective benefits will only be confirmed against 100 percent advance payment. Payments for the Sponsorship and Exhibition should be made by electronic/wire transfers. The amounts mentioned above do NOT include Government or statutory taxes. Any and all Government and Statutory taxes will be charged extra and as applicable. If the Sponsoring Company and the registered Exhibitor Company is unable to attend the conference and wants refund of the Sponsorship and Exhibition fee, it may do so and claim back 50% of the registration fee latest by 15th June 2017. I Run Sports Management (P) Ltd.
You inquiry has been submitted.